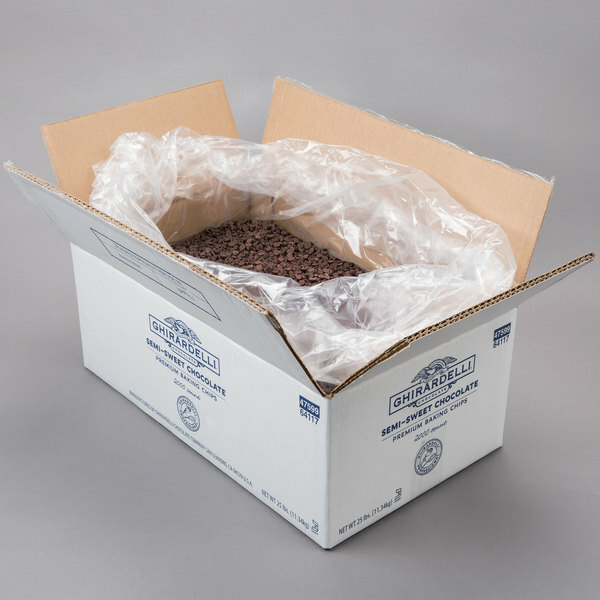 Add texture and flavor to baked goods with these Ghirardelli 25 lb. semi-sweet chocolate 2M baking chips! With a size of 2M, meaning there are 2000 chips per lb., they are perfect for sprinkling throughout a variety of decadent desserts. Compared to milk chocolate, semi-sweet chocolate uses half as much sugar as cocoa to yield its own distinct taste. Though it is not as sweet as milk chocolate, it is great for cooking and baking purposes. 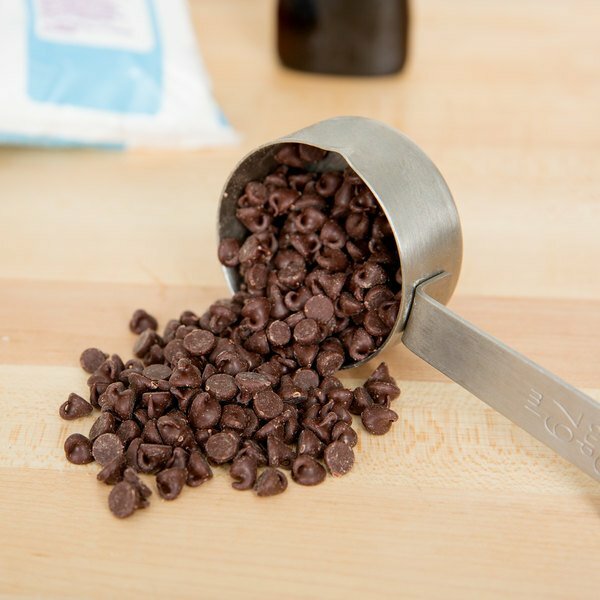 Mix these semi-sweet chocolate chips into classic cookie, cake, and brownie batters, or blend them into smooth dessert sauces that your customers will love. They can even be used for topping iced or frozen drinks. Semi-sweet chocolate features a higher concentration of chocolate liquor than milk chocolate, which gives it a stronger taste. Customers will recognize and trust the Ghirardelli name when they see it in your cafe, coffee shop, ice cream parlor, or restaurant. Ghirardelli began with a young Italian chocolatier in the early 1800s and is now a brand widely known for its rich flavors. This sense of quality is the result of Ghirardelli's commitment to control all steps of the chocolate-making process, from roasting the cocoa beans, to refining the product for smoothness and well-balanced flavor. In addition, the company understands that sustainable sourcing and knowing the origins of the cocoa beans speaks to the quality of the finished product. No matter what dish or drink you prepare, guests are in for a treat with these semi-sweet chocolate 2M baking chips! With Ghiradelli chocolate, you’re always sure to get a great-tasting, quality chocolate. These are not heavily coated in wax like store brand chocolate. You can use these in baking, melt them down to make your own ganache, or just use them as decorative toppings. Love everything about Ghirardelli. 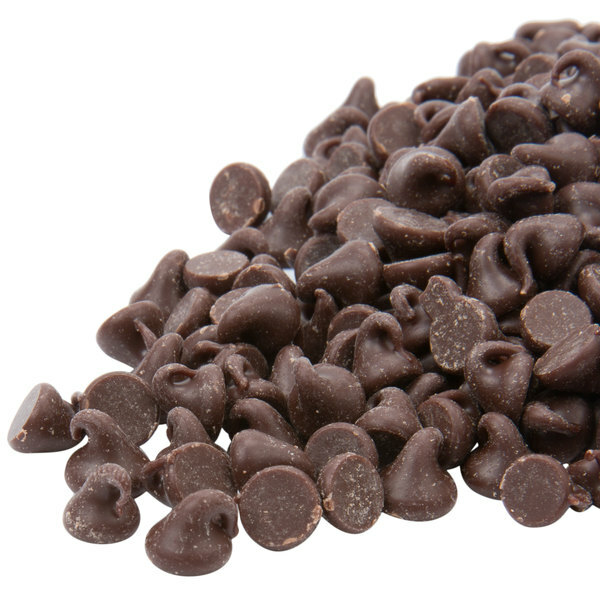 Their semi-sweet chocolate chips are delicious and are great for making our ganache. They chocolate is great with strawberries as well. Awesome chocolate chips. These are nice because they are semi sweet so if you use a lot it's not going to over sweeten the recipe you make.